My body has gone into a bit of shock since arriving back from Sri Lanka. This cold UK weather has left me craving warm winter comfort food on a daily basis (yes, the struggle is real). But indulging in your favourite winter warmers doesn’t have to be a dirty little secret that only ever takes place in your favourite PJs, from the comfort of your sofa. Allowing yourself to enjoy hearty comfort food can also be a glamorous, lavish affair to be proud of. Trust me, I do it a lot. 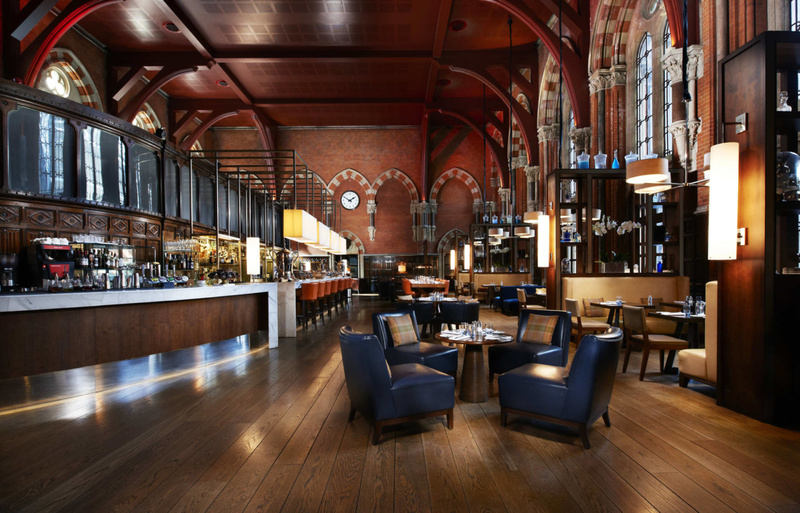 I recently went to check out the newly relaunched Booking Office Restaurant in London’s St Pancras Rennaissance Hotel. 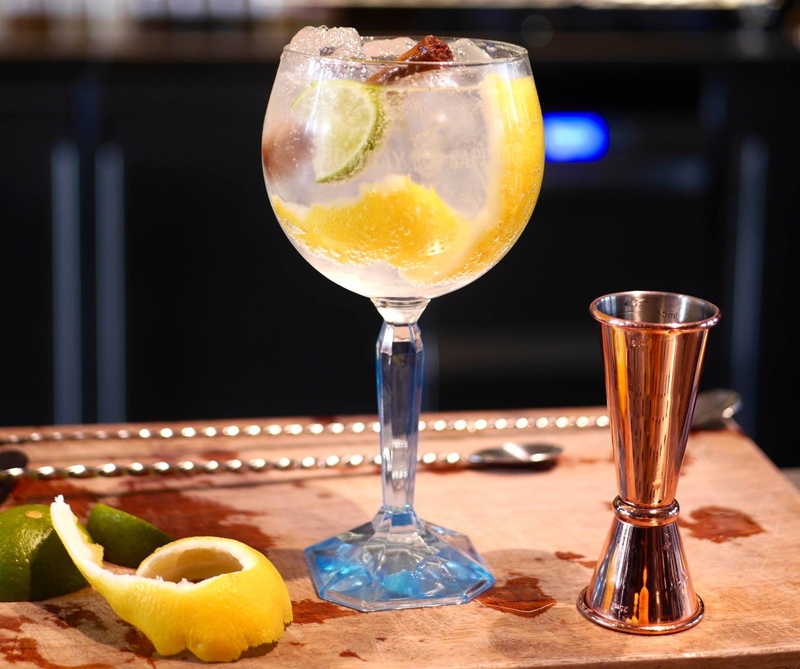 The new concept offers a modern British dining experience with local produce and seasonal twists. With my best friend Naomi in tow, we headed straight to The Booking Office after arriving into Kings Cross station by train. The St Pancras Renaissance is only a 3-minute walk from Kings Cross and literally next door to Euston Station (so convenient for regular travellers). Once you step inside The Booking Office, you immediately understand where it gets its name from. 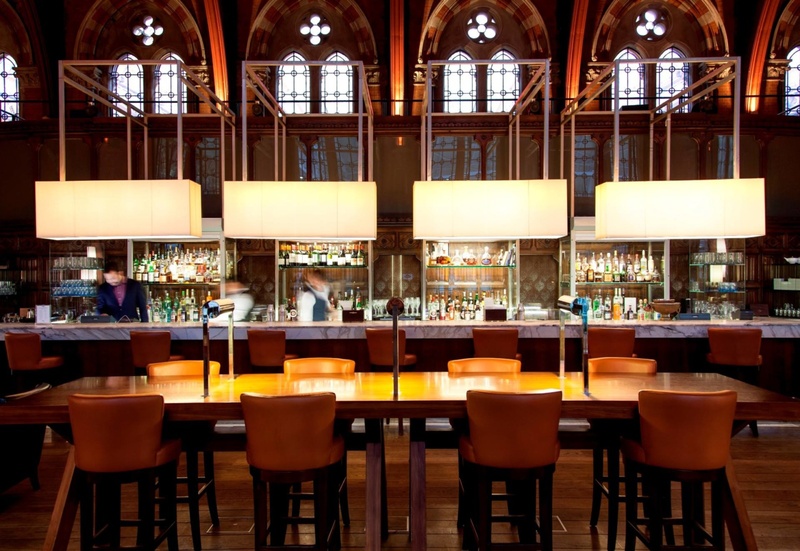 The restaurant is actually located inside Euston Stations original ticket hall, which is a spectacular cathedral-like room with high ceilings and ornate details. The Grade 1 listed space still looks out on to busy Euston station through floor to ceiling windows, but feels a cosy world away from the hustle and bustle of the station. Walking into The Booking Office immediately gave me an unexpected flashback. Unbenowst to me until that moment, it was in the same space where I went on a rather unsuccessful date a few years ago – but of course, I didn’t let that deter me! The porter whisked our suitcases off to a cloakroom and we received a very warm welcome from one of the waitresses. She showed us to our table, which was located right next to one of the giant original windows looking onto Euston Station. My best friend and I don’t do things by halves, and as soon as we had taken our seats, we knew we were going to indulge. We kicked off by ordering a bottle of the Cloudy Bay, Sauvignon Blanc from New Zealand which came perfectly chilled and expertly poured by a handsom Italian waiter. A little later came a freshly baked sourdough breadroll which was crusty on the outside and perfectly warm and fluffy on the inside. 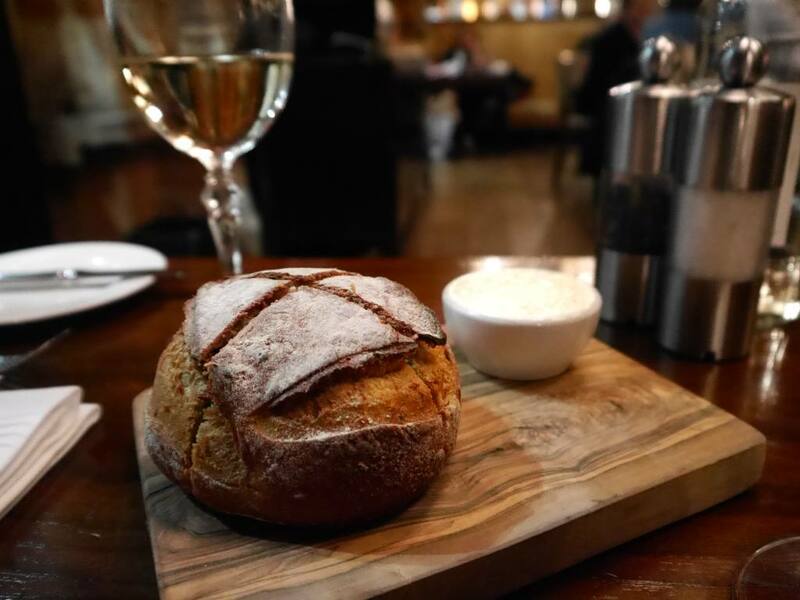 We perused the menu whilst smothering the hand churned butter on top of our delicious crusty bread. If I ever see Buratta on a menu, there’s a 99% chance I am going to order it. As soon as I saw it was paired with roasted pumpkin, I was even more sold. 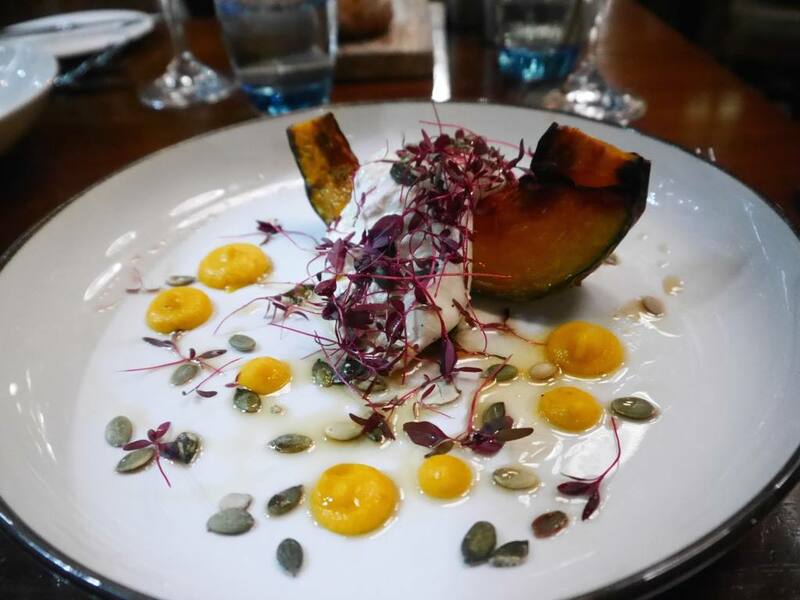 The combination of the creamy buratta and sweet pumpkin was absolutely delightful. The dish looked like a work of art and got our evening off to a great start. 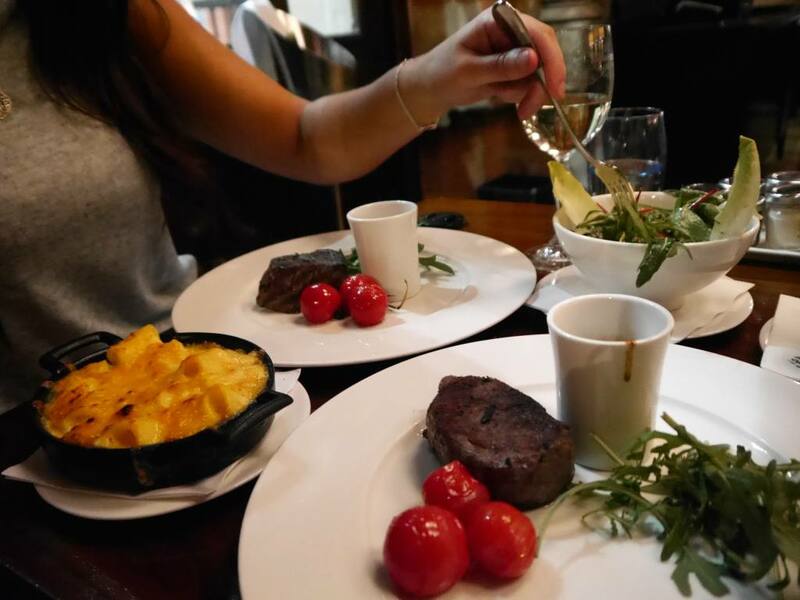 We both ordered the fillet steak and added a side of Mac ‘n’ Cheese for a ridiculously indulgent main course combo. I ordered my steak medium-rare and it arrived perfectly cooked. The meat was flavoursome and succulent and I could really tell it was a premium cut. 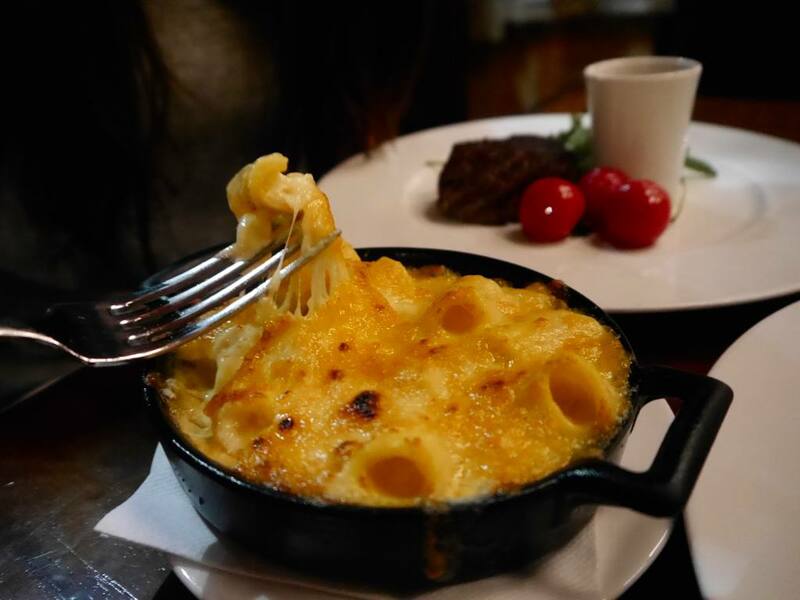 Small bites of steak with the creamy Mac ‘n’ Cheese were little bites of heaven. However, at £36 I thought that the fillet steak was definitely on the small side and it could leave people feeling a bit short changed. The Lobster Mac n Cheese side was the best Mac ‘n’ Cheese I have ever tasted and personally, it was my favourite part of the meal! I loved that it was made with chunky rigatoni pasta. The chunks of lobster were small and subtle and added an extra dimension to the classic dish. If you go to The Booking Office you must order this! 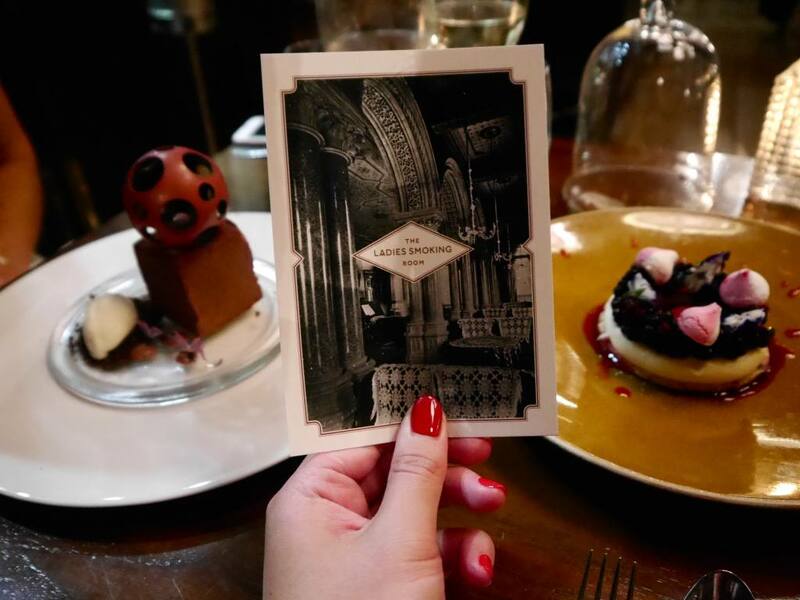 We ordered two desserts to share and the ‘Ladies Smoking Room’ came highly recommended by our waiter (who we were on very friendly terms with by now). 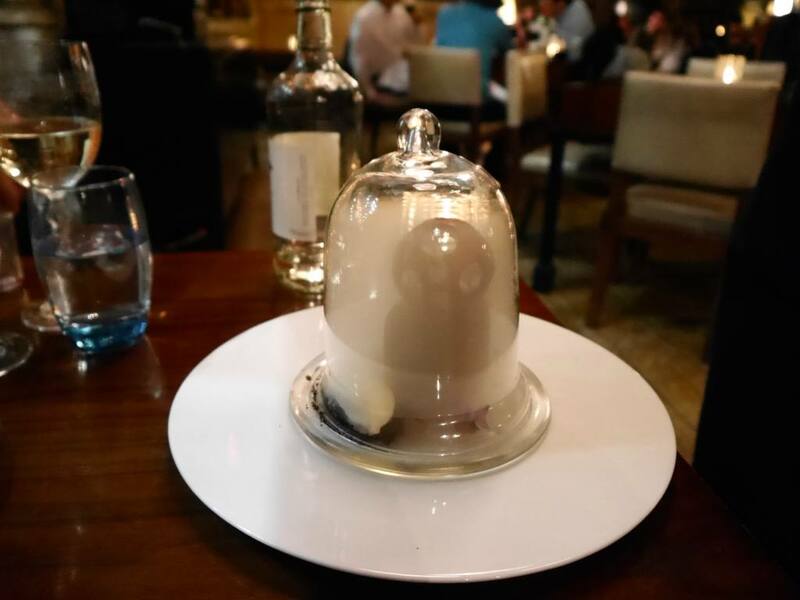 Arriving in a smoked glass jar with a grand reveal, the ‘Ladies Smoking Room’ was a real spectacle. 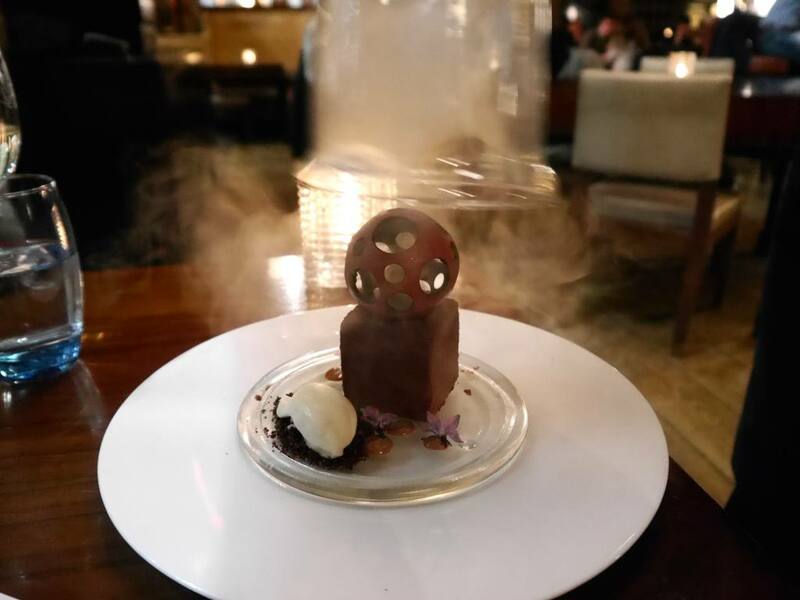 I love chocolate desserts but the richness and smokiness was a bit too much for me. 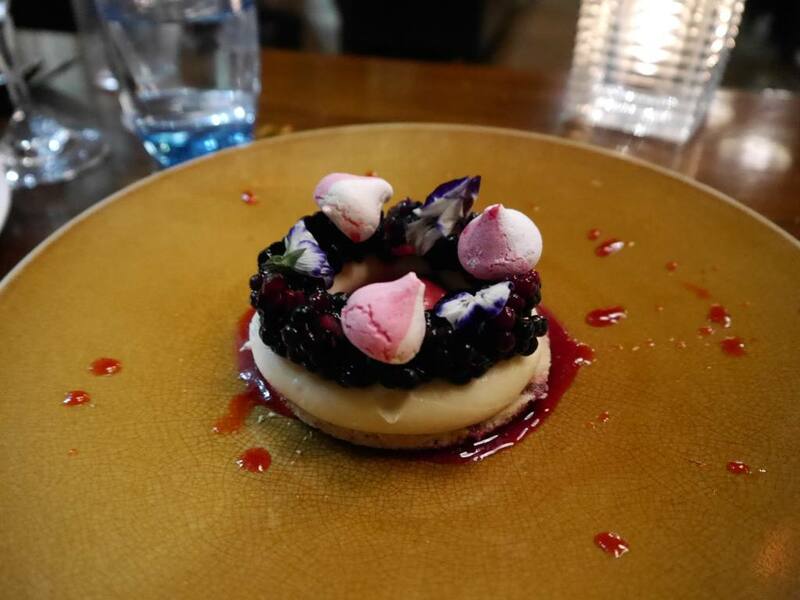 I absolutely loved the Blackberry and Vanilla Cheesecake which tasted as beautiful as it looked. The hole in the middle gave a fun twist on the average cheesecake slice. Amongst all the hustle and bustle surrounding Euston and Kings Cross Stations, The Booking Office is a historical and stylish oasis for travellers to escape to. If you’re taking the Eurostar to Paris, embarking on a UK mini-break or coming for a weekend in London, it would be the perfect place to visit pre or post train journey. The service is fantastic, the food is delicious and the setting is truly unique. 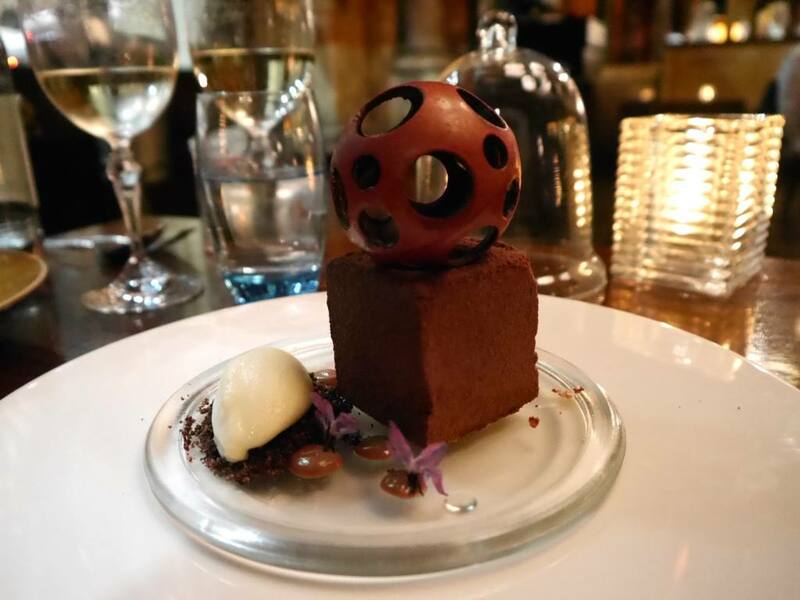 Want to read more of my London reviews? This meal was provided complimentary in exchange for coverage. All views are my own. I’m so glad that you had such a lovely experience to forget about the last memory – it’s such a beautiful space! What a treat! I stayed with my mum before before it looks like i need to go back! I love the look of it! 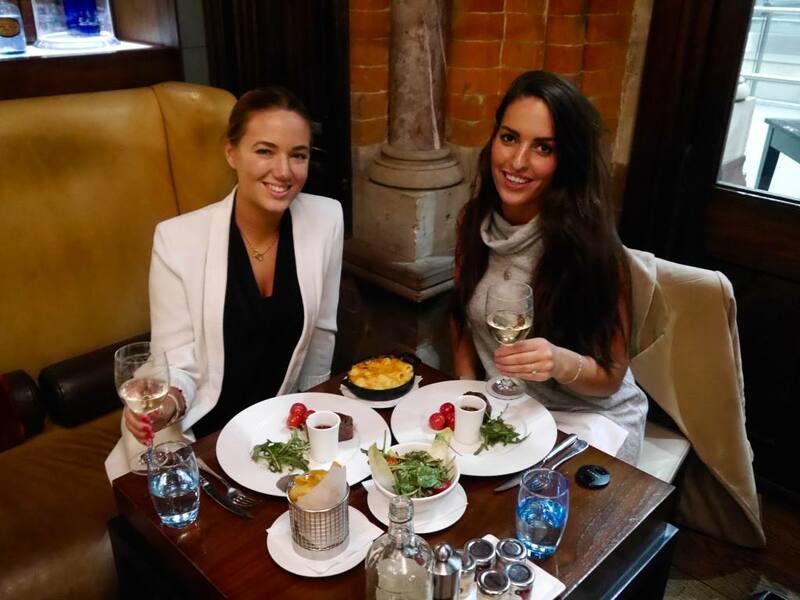 Perfect for a girls catch up!